We were not sure if we would be able to get apple picking this year. The season started early and was close to a lot of the Jewish holidays. Then we had rain and other items crop up. Today the weather was chilly, but the rain held off. At 2:30, we called the apple orchard and found out they still have apples to pick. We jumped into the car and went there as quickly as possible. We had a mission. With only an hour until they closed, we had to pick fast. We did not disappoint, picking 29.5 pounds of apples in less than an hour. It was so much fun watching both of you race around to get apples to add to our bags. When we spotted the pick your own pumpkin patch, both of you were quite upset that we were not able to get one here. 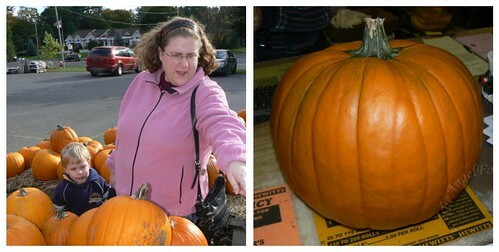 The pumpkins were moldy, squishy and did not look like they would make it to Halloween. With tears in some eyes, we promised to get one from another location soon. So we went back to apple picking and, before we knew it, we had a bag and a half done and it was time to go. 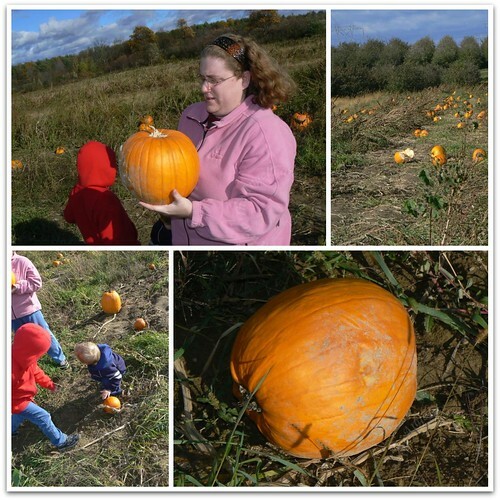 On the way back, we stopped at another location to get a pumpkin. For $5 we got a really nice one that we will carve one day soon. Now, our picking seasons are over. Hopefully, we will get to go strawberry picking in June and make more family memories together. Very nice! You always make such nice collages of the fun things you do together. And these are even more beautiful because of the rich colors. I spy that gorgeous pink sweatshirt….looks familiar! 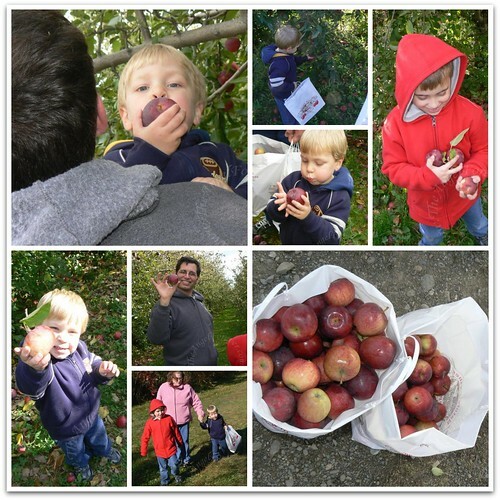 LOL :-) What a fun day….wish we had apple picking in Texas!! What did you and your boys make with all those gorgeous apples?